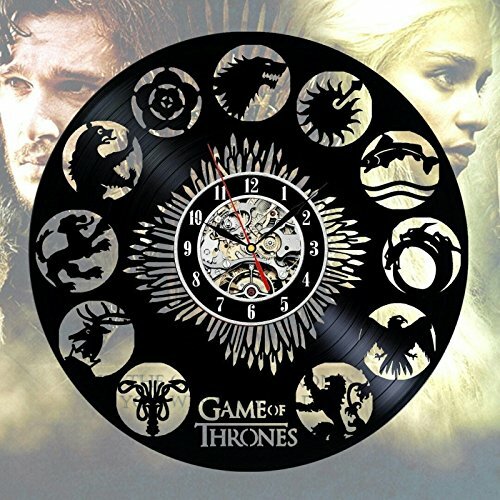 A GIFT HE WILL LOVE – Imagine the look on his face when you and your friends open the box and find his new favorite wall vinyl record clock with unique design. You put in the extra effort to find something WAY better than a regular gift! WONDERFUL GIFT FOR – Father’s Day, birthday, Mother’s Day, Christmas and any occasion, or just without any special reason. SHOW LOVE – This clock makes a unique and original for your friends and family! 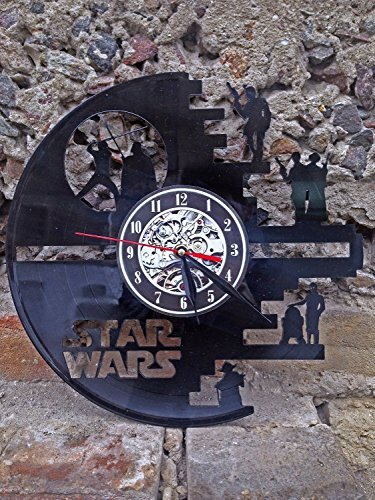 If you wish to be the holder of Death Star our Death Star Wall Clock is the most efficient solution for you. 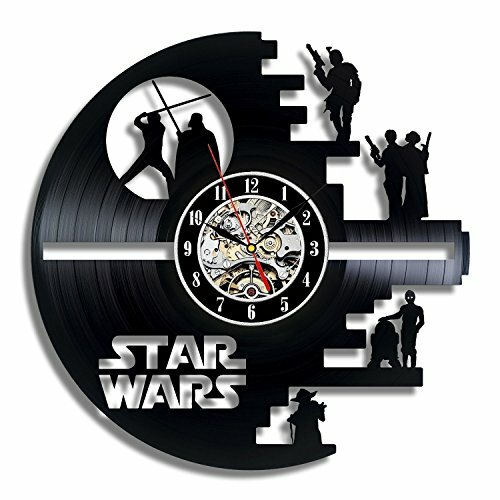 Put this fantastic clock to your wall and get started feeling yourself like an emperor of Death Star. 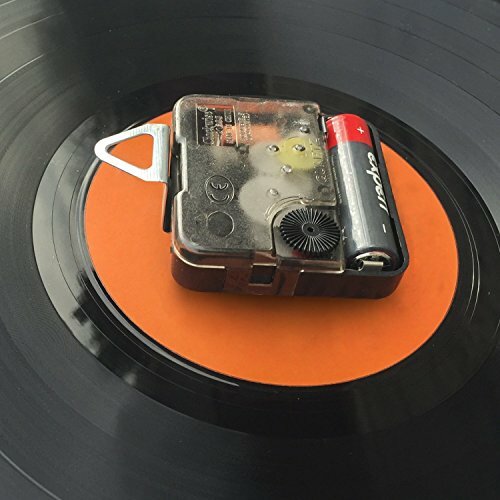 Modern, never used clock made from old used vinyl record. Be prepared to expose the brand new sides of old-fashioned stuff. Be at liberty to invite about any custom changes you want. Detailed details about the product: – the clock is if truth be told working and the mechanism is in reality quiet; – the clock face is a sticker and you may also change it for no additional charge; – the dimensions of the clock is 12; – each and every clock is available in a separate safe box with clock hands unattached; The clock is made from a single vinyl record, so you don’t seem to be handiest getting a work of art, but a work of long history, as a way to carry it is spirit alongside you for a very long time! We can want around 5 working days to make the clock and send it to you. Then it takes around 7-11 working days to be brought to you. Tracking number is supplied. We can refund you the cash or send you every other clock totally free inside of 30 days once you receive the clock in case the clock comes broken. Please provide pictures. Experience! 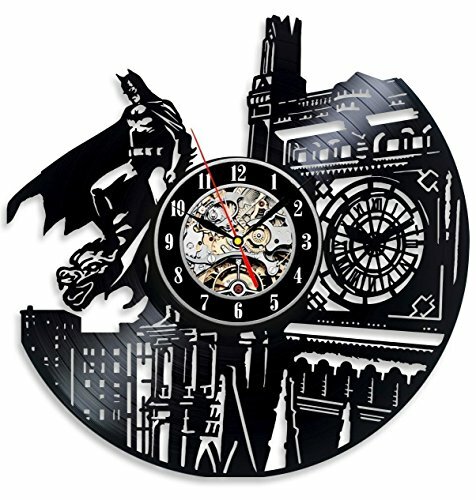 A GIFT HE WILL LOVE – Believe the look on his face whilst you and your pals open the box and in finding his new favorite wall vinyl record clock with distinctive design. You put within the extra effort to search out something WAY better than a normal gift! WONDERFUL GIFT FOR – Father’s Day, birthday, Mother’s Day, Christmas and any occasion, or simply with none special explanation why. SHOW LOVE – This clock makes a novel and original on your family and friends! YOUR GIFT SEARCH IS NOW OVER! – You will have found the only. 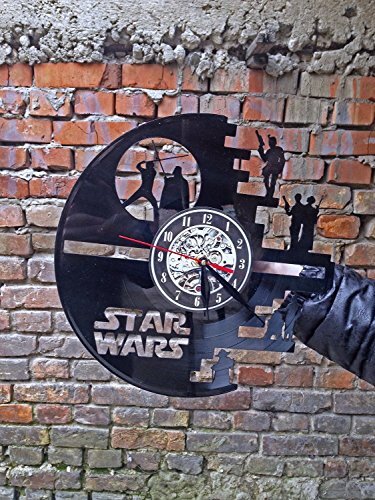 Show them you care with “Vinyl Evolution” premium vinyl record clock. In spite of everything, you’ll be able to take a seat back, click “Add-to-cart” or “Buy Now” and feature an excellent gift brought to their door, on time! CUSTOM DESIGN – Be at liberty to reserve your personal distinctive design for no additional charge!